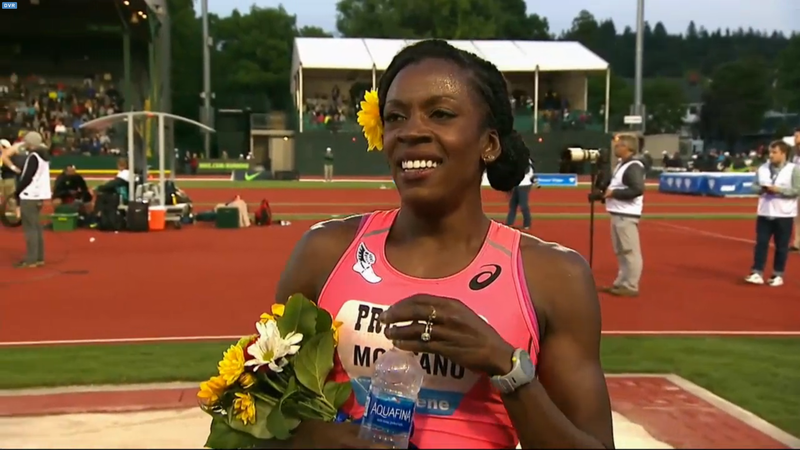 Day 1 of the 2016 Prefontaine Classic got underway with some mom power in the women’s 800 and women’s 5000m, and two no-names trying to take it to Mo Farah in the 10,000m. Full recap of Friday below. Video interviews here. On paper, no one in this field was capable of challenging Mo Farah over 10,000 meters and the results bore that out, as Farah won here for the second year in a row in a world-leading 26:53.71. 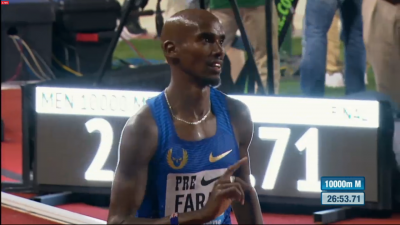 Though the time was not a PR for Farah, whose best is 26:46.57 (it was also slower than the 26:50.97 he ran to win here in 2015), it reaffirmed that the 33-year-old Brit is the man to beat over this distance until proven otherwise. During the second half of the race, relatively unknown Kenyans Nicholas Kosimbei (who led from 6600 to 8800) and William Sitonik (who led with 100 to go) both sought to challenge Farah, but the world’s best distance runner never looked flustered, even when Sitonik took the lead on the back stretch of the bell lap. Farah merely waited until the home straightaway to shift into top gear, and as soon as he did, it was game over. Sitonik, the World Youth champ in at 3k in 2011 and the World Junior bronze medallist at 5k in 2012, earned a big 26-second PR of 26:54.66 in a race that saw five men dip under 27 minutes, the most in a single race since 2011. Farah had been hoping to run a PR according to commentator Steve Cram and he wasted no tie getting out behind the rabbits early. By 800 meters, the field had already separated into two groups: the majority ran behind rabbits German Fernandez, Vincent Yator and Albert Rop, while the second group included top Americans such as Eric Jenkins and Chris Derrick plus a few others. 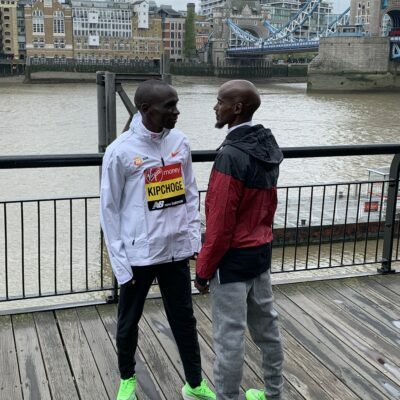 By 1400, Farah made it clear that he felt the pace was too slow and moved up next to Rop encouraging him to pick it up; Farah hit 1600 in 4:18 (26:52 pace). The next 1600 was slightly faster (4:17.5) and just before 4800 (12:52 for Farah), Rop decided to make an effort to pick it up before his pacing duties were finished. But no one went with him and by 5k (13:24 for Farah and the main pack, which was down to 10), Rop had a lead of 20 meters on the field. Any chance of a truly fast time went out the window by 5600, when Farah decided to slink back in the pack, leading to a 67-second lap for the chasers. Had Farah punted on a fast time entirely to focus on the win? Not exactly. By 6100, he was back in the lead again, leading the field through 6400 in 17:15 (4:23 for the last 1600) and shortly after that, he passed Rop. The first major move of the race followed shortly thereafter as little-known Kenyan Nicholas Kosimbei made a bold bid for the lead. The 19-year-old Kosimbei, who entered with a PR of 28:38 at altitude and earned bronze at World Juniors in the 10k in 2014 (but had no results listed since then) was not the man anyone expected to be leading at this point, but he quickly put 10 meters on the field from 6600 to 6800 and held it for the next two laps. 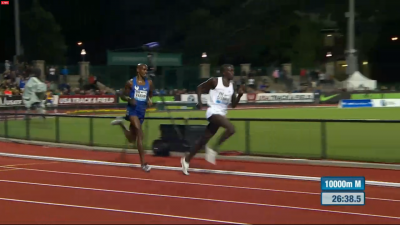 With six to go, Farah and Stephen Sambu began working together to close the gap on Kosimbei and caught him by 7900 meters only for Kosimbei to attack again and hold the lead for another two laps. Farah, as is his style, went to the lead with 1200 to go in order to control the race from the front over the final laps. But Kosimbei still wasn’t licked and retook the lead at 9k only for Farah to seize it back to him with 800 to go. This time, Kosimbei truly was vanquished and it was a four-person race, with Farah leading Sitonik, Sambu and Ethiopian Tamirat Tola. A 63 dropped Sambu and 100 meters into the bell lap, Tola fell off as well. Sitonik, feeling good, upped the pace further on the backstretch and moved into the lead, turning his head to stare down Farah as he did so. Farah did not fight hard for the lead, but did look behind to see if anyone else was there. There wasn’t. Sitonik had to figure Farah was far from done, and looked back no fewer than three times on the final turn to check whether he had dented Farah’s reserves. He hadn’t. What happened next was vintage Farah if you saw him in 2015. He sat on Sitonik before moving to the outside as they turned onto the home straight. Then Farah accelerated, quickly and easily, throwing a look at Sitonik just like the one he had received 200 meters earlier. 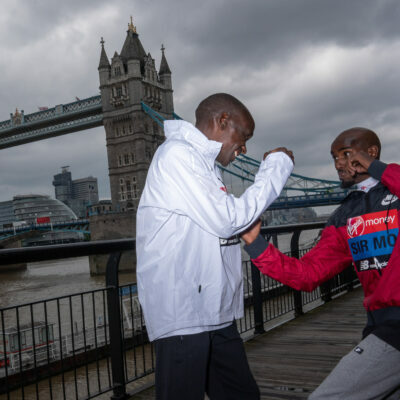 The Kenyan, like so many before him, was powerless to respond and Farah coasted to victory in 26:53.71 thanks to a 59-second last lap (4:12 last 1600). Sitonik, for his part, was proud of his runner-up finish (deservedly so), pumping his fist as he crossed the line in second. Tola, Sambu and 2011 world champ Ibrahim Jeilan — the last man to beat Farah in a 10,000 — followed Farah under 27:00. In the DL opener in Doha last year, Farah tried to counter a move from Yomif Kejelcha but wound up going too hard, too early and lost to Hagos Gebrhiwet. Farah learned from that race. He has the best final 100 of any 5k/10k guy in the world. He might as well use it. When Kejelcha pulled a similar stunt in Lausanne, Farah was ready for it and allowed Kejelcha to take the lead without a fight before blowing him away over the final 100. It was a similar story at the World Champs in Beijing; Farah didn’t have the lead entering the home straight in the 5,000, but he was right on Caleb Ndiku’s tail and emerged victorious once again. With that said, it was a little odd to see Farah gapped in the second half of a race by a no-name, especially one in which Farah apparently wanted to run fast (again, according to Cram). But we can do little more than speculate why Farah let Kosimbei open up the gap. Perhaps he wasn’t feeling great aerobically but had confidence in his kick if it turned into a close race. Perhaps he assumed Kosimbei would die and didn’t want to be left all alone up front if he decided to go with Kosimbei’s move. 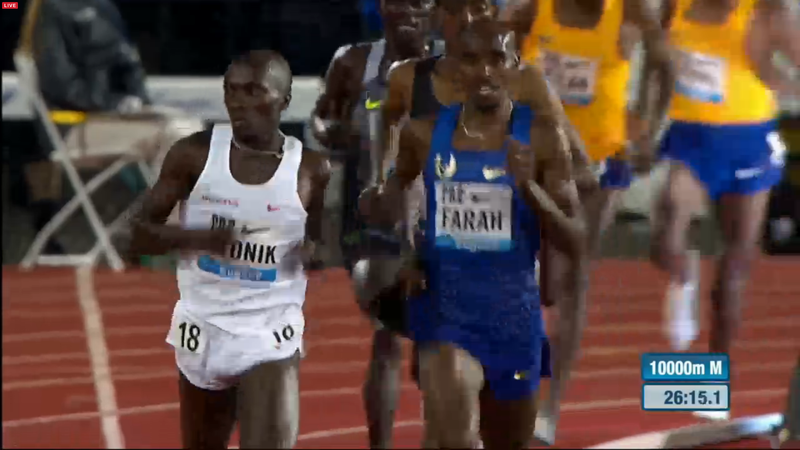 The fact is, Farah looked good over the final 100 and got the win, and that was the most important thing tonight. And you could tell he enjoyed putting Sitonik in his place at the end as the cameras caught Farah doing a Dikembe Mutombo-style finger wag shortly after crossing the finish line. First, some props to both Sitonik and Kosimbei. They had had some junior success but have never raced on the pro circuit. 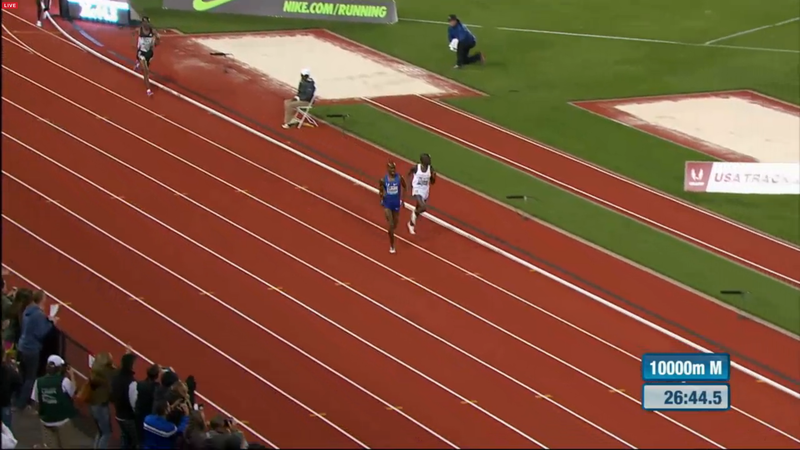 They did not let the moment overwhelm them and tried to take it to Mo Farah. The sport needs more of that. Having said that, we were astounded to find out Sitonik was 7th at the Stanford Payton Jordan 10,000m earlier this month in 27:56, beaten by 41-year-old Bernard Lagat by nearly 7 seconds. It is amazing that less than four weeks later, Sitonik was leading Farah with 100m to go in a 10,000m and running sub-27. 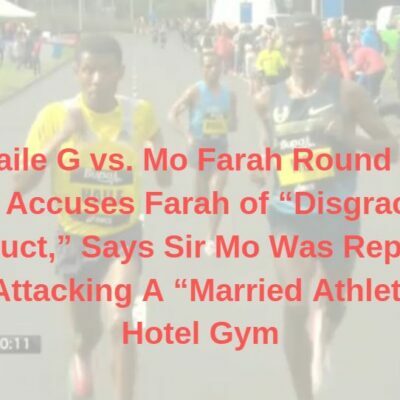 That shows Farah still has a lot of work to do. Run like he did today vs Geoffrey Kamworor and it’s likely Farah gets beat. Eric Jenkins went out with the second pack and it was mission accomplished as he ran 27:48, well under the 28:00 Olympic qualifying time. Fellow American Chris Derrick continued to struggle in return from injury, getting lapped in 28:38. Photos of the final lap with results below. Entering tonight’s women’s 800, no American woman had broken 2:00 in 2016. And that still holds true after reigning U.S. champ Alysia Montaño held off several of the U.S.’s top 800 runners to take the victory in 2:00.78. 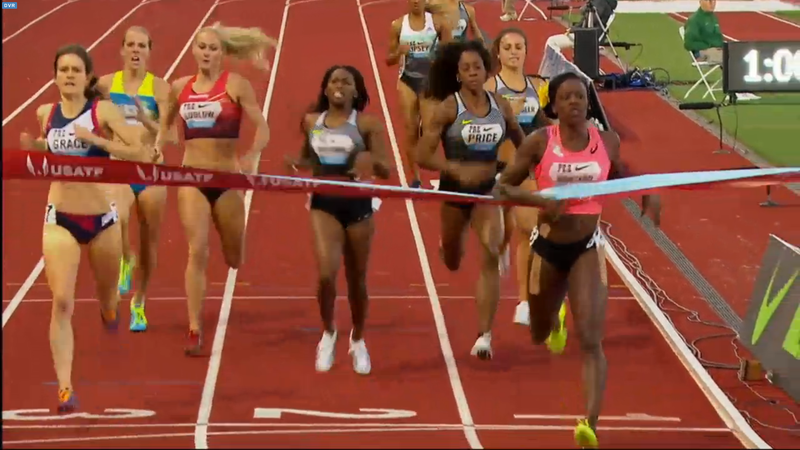 Montaño, as is her custom, got out quickly behind the rabbit, hitting 200 meters in 27.5 seconds. At the bell, (57.03 for the rabbit, 57-mid for for Montaño), Montaño, 2014 world indoor champ Chanelle Price and Arkansas grad Chrishuna Williams had formed a gap of around five meters on the chase pack, led by Kate Grace. Laura Roesler, who won the 800 at last week’s Hoka One One Middle Distance Classic, was way back in eighth and boxed in. Grace worked to bridge the gap on the back stretch and Roesler put herself back in the race, moving up on the inside and into fourth place with 180 to go. Montaño passed 600 still in front at 1:28 but looked to be tiring as Price was running right behind her. But just before she entered the home stretch, Montaño found another gear and opened a gap on the rest of the field, which was spread four-wide behind her. Grace was moving well but not well enough; she had to settle for second as Montaño wound up a convincing winner. Roesler had room to run on the final straight but had nothing and finished a well-beaten seventh in 2:02.27. If it wasn’t for Russian dopers, Alysia Montaño would be an 800 legend in America. As it is, she won USAs last year after giving birth and looked good tonight in her second race of the year. Ajee Wilson may be the favorite at the Trials but beating Montaño will not be easy for anyone. When one person runs slow in a race, it’s a problem. When everyone runs slow, it usually tells you more about the conditions than the athletes. There was some wind on the track tonight, and that contributed to the slow times. Kate Grace has run faster than even Montaño this year and had another strong performance as Laura Roesler had her first bad race of the year. Though Grace was beaten tonight, she was moving better than anyone save Montaño over the final 100 and remains the U.S. leader at 2:00.05. Roesler, on the other hand, lost for the first time at 800 outdoors this year as she was in a bad spot most of the race and had nothing even when a lane opened up for her at the end. One bad result isn’t anything to panic over, though. Alysia Montaño got a win for the moms in the 800 and Hellen Obiri followed it up with a win of her own for the recent moms and a huge PB in the 5000m in 14:32 (previous best 15:21 at altitude). Obiri missed all of 2015 to give birth but hasn’t missed a beat in her return, running 3:59 in her first international 1500 in Shanghai, following that up with a 1500 win in Beijing and now getting the win and huge PB here. There was a pack of 12 together until the final mile (4:41 at 1600, 9:28 at 3200) that included 11 African runners and American record holder Molly Huddle. 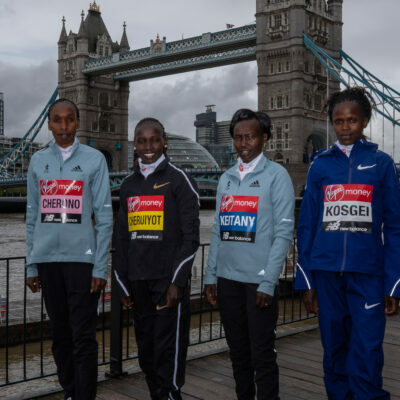 With 3 laps to go, Obiri really broke open the field as she started running sub-70-second laps and it was a four-woman race with Obiri, Viola Kibiwot, Mercy Cherono and Vivian Cheruiyot clear of everyone else. At the bell, only Kibiwot was on the heels of Obiri, but Obiri opened it up on the backstretch and really would extend it on the final turn. Her final lap wasn’t crazy fast (63 seconds) but it was good enough for a convincing win as Kibiwot was second, Cheruiyot 3rd and Cherono 4th. Molly Huddle ran her 10th race under 15:00 in 14:48.14 but only finished 11th as fellow American Kim Conley ran 15:10 (just missing her 15:08 PR) and Marielle Hall ran 15:20 with 2015 USATF champion Nicole Tully way back in 16:18. QT #1: Obiri is Tremendous But What Event Should She Run? Obiri’s comeback from childbirth has gone almost perfectly. The only problem for her is the world has gotten a lot better in the last two years, so what even should she run at the Olympics? She looks outmatched for gold at 1500 and 5000 right now, but a strong contender for a medal in both events. 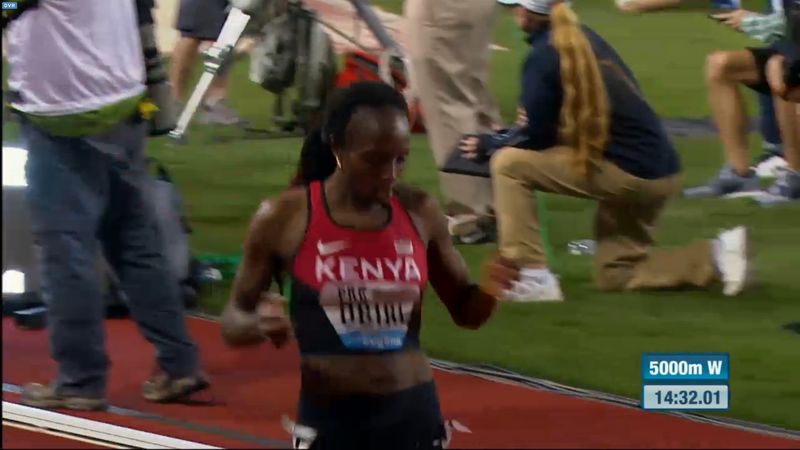 She’s got a month or so to figure it out before the Kenyan Trials. Her predicament between the 5000 and 1500 shows why the 3000 (8:20 pb) is her best event. That’s the good news. The bad news is the top Africans are a lot better than her right now. 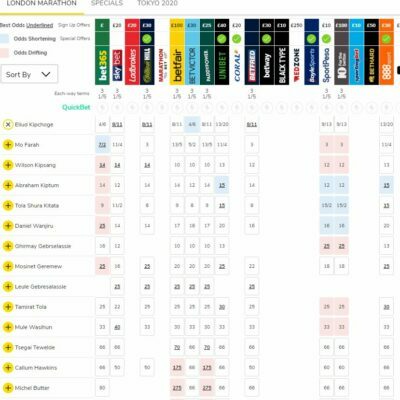 However, a move up to 10k at the Olympics and the fact only three Kenyans can compete gives Huddle a shot at a medal. She’s running very well. Reigning Diamond League and world champion Joe Kovacs was the toast of the evening as he improved every throw throughout the competition. Each toss was above 20 meters, culminating with a world-leading final effort of 22.13m/72-07.25 for the win. Reese Hoffa was third in his final appearance at the Prefontaine Classic with a best of 20.58m/67-6.25. Defending Olympic gold medalist Brittney Reese wasted no time proving her dominance in long jump. She leaped an American-leading 6.92/22-8.5 on her first trip down the runway, clinching the first Prefontaine victory in her storied career. Olympic bronze medalist Janay Deloach was sixth with a jump of 6.59m/21-7.5; World outdoor champion Tianna Bartoletta was seventh with 6.48m/21-3.25.